Being a team player is a priority for Chad Schweighart. Whether you are a client, colleague, friend, or family member, he is invested in your success. Chad stays motivated knowing that he and the entire Gift CPAs team are providing service and advice that helps each client achieve their unique goals. 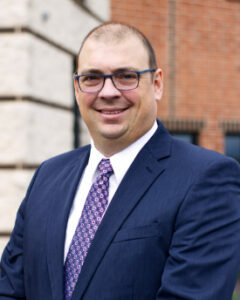 Chad joined Gift CPAs in 2018. He is a member of Pennsylvania Institute of Certified Public Accountants (PICPA) and was honored as a PICPA Young Leader in 2015. He is active in the local community via his service with Junior Achievement, Vickie’s Angel Foundation, and his church. Chad is dedicated to investing in his children’s lives, is passionate about Illinois athletics, and can break awkward silences with his impressions of past presidents.